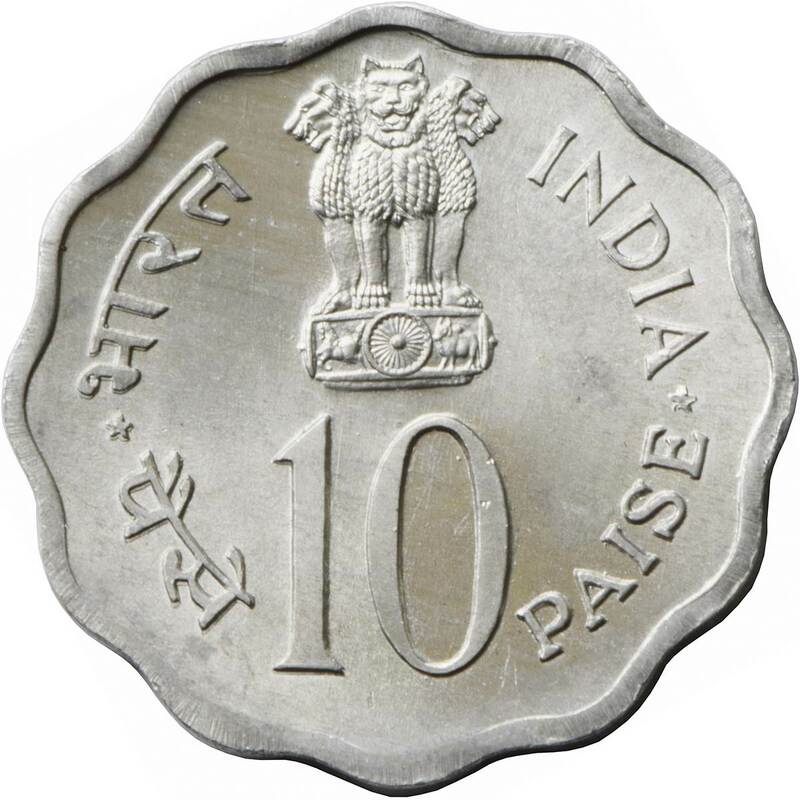 This month marks ten years since the inception of this blog. Ten years have flown. Ten years in which I started and finished a Master’s program in Library Science while working full time as a librarian in training, worked at over six branc hes of my library system, worked in a more suburban area, and then returned to my city, did hundreds of arts and crafts projects, dozens of Lego programs, scores of storytimes, wrote creatively with Teens, mentored at least a dozen volunteers, and answered thousands of reference questions. It has been a good ten years in Library Land working with kids and teens! And here’s to the next ten for this Bookish Desi Librarian! “Five is a great number! Do you want to count to five together?” He nodded. So we counted out loud, one, two, three, four, five, then he walked away to join his caregiver. He stood silent, just looking at me. His caregiver came around, and was surprised to see her young charge, signing up for the computer, all by himself. She watched him watching me. “Tell the librarian your name!” she urged. “Yes.” Again, a solemn nod, but there was a not-quite-sure look in the eye. I smiled encouragingly at him, waiting to see what number he might come up next. But he surprised me. 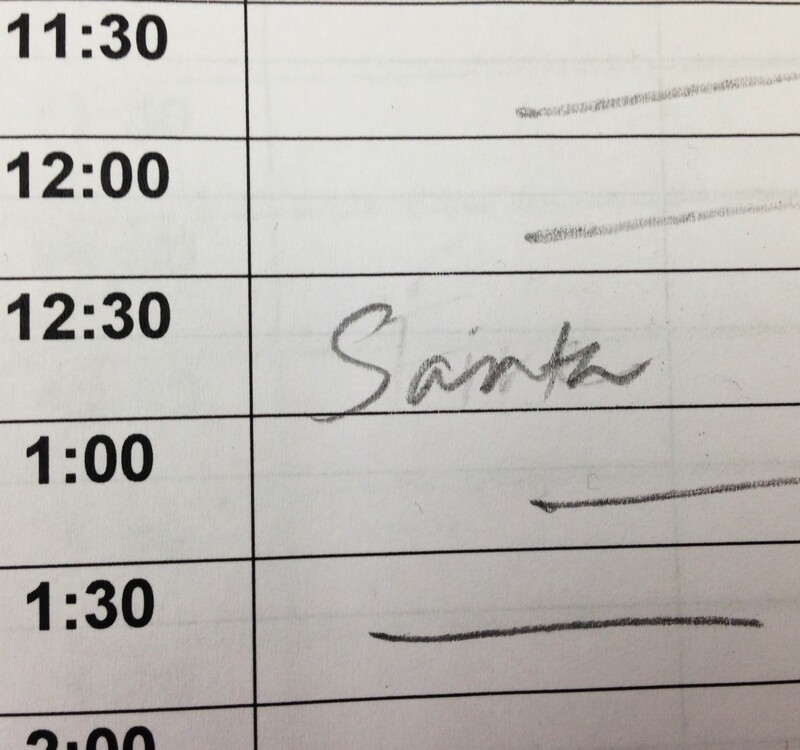 “Your name is Santa?” I asked. “Your name is Santa?! ?” asked his caregiver, amused yet really wanting him to give his name. “Are you really Santa?” I asked him, my eyes wide. “Yes,” he was sure he is Santa. “Do you really like giving gifts to people?” I asked. “Yes, especially the number five, and the number nine,” Santa answered. And so there you have it, folks. Santa is about three years old, and he loves giving numbers as gifts. And he visited the library and signed up for the toddler computers at 12:30 pm today. For proof see the photo I took of the computer sign-up sheet below! 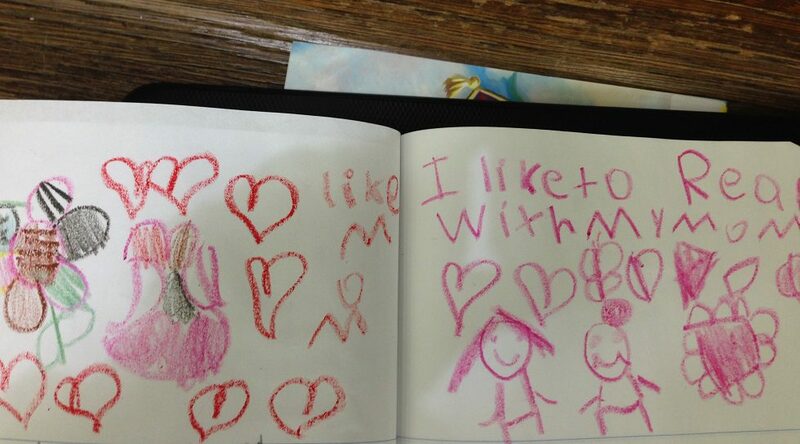 That’s what it says in my new 5 year old library friend’s notebook — which she ran to get from her mom to show me after we bonded over Elephant and Piggie books. A little girl came in, looking for computer time at the AWE computers, just now. In her hand was the biggest, shiniest red lollipop. “It’s hollow!” she told me, cheerfully. I asked her if she’d like to see a book about another girl who had a big red lollipop. Big-eyed, she nodded and her caregiver beamed. We walked over to the “Kh” section in picture books. 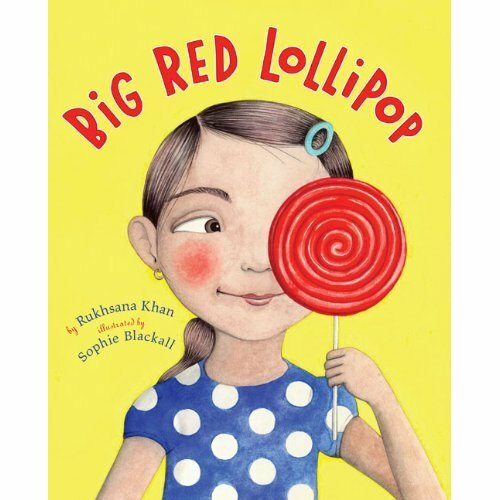 When I handed her Big Red Lollipop by Rukhsana Khan, illustrated by Sophie Blackall, her eyes got even bigger and her smile wider. This is the type of moment that makes my day. 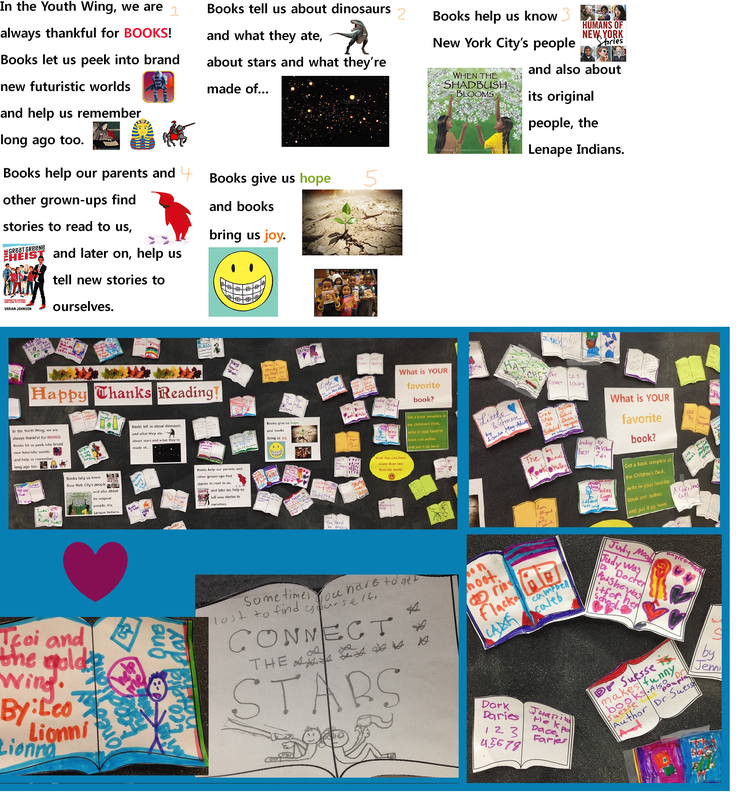 Though the holiday of Thanksgiving is over for this year, my “Happy Thanks Reading” display in the Children’s section of my library is still up. And I’m finding it’s one I wish to share, as I spent a lot of time thinking over the words that accompany the display. They are simple words, but it took a long time to try to encompass everything I meant by the coined phrase. Below I’ve put up several images of the words, as well as images of the display itself, which consists of blank book templates which children (and other visitors) are invited to fill out with the book titles and authors for which they are thankful. Thank the universe for books! 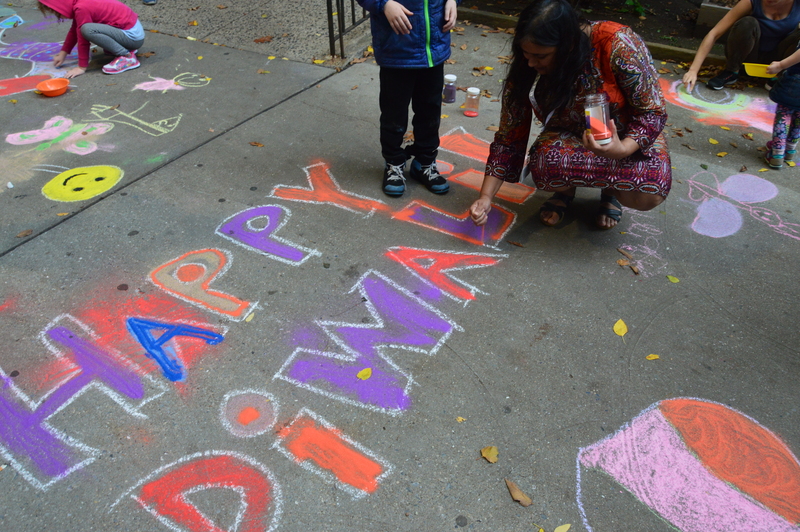 Today, on an unseasonably warm Thursday late afternoon, we celebrated Diwali (belatedly) at the library by making Rangoli (designs) right outside the library, in a courtyard near the Children’s Entrance. 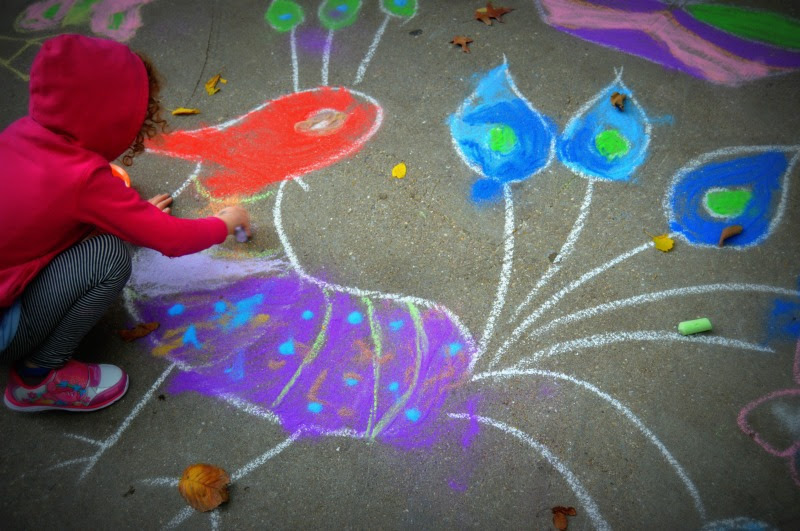 Children (and their grown-ups) enjoyed making Rangoli by using sidewalk chalk to outline designs and drawings, and then filled up the spaces with colored sand, to make the colors really pop! 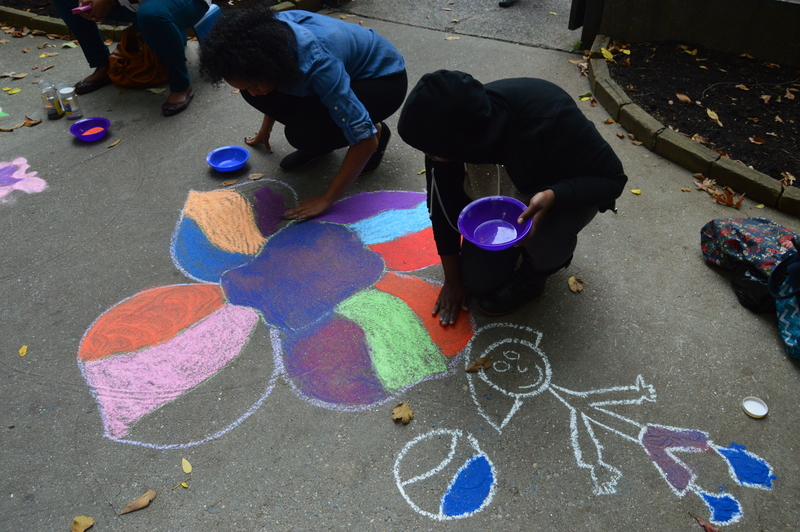 They seemed to love that sensory 1, 2 experience, of the difference in feel of the chalk and the sand, and some did color mixing exploration as well. One young entrepreneur, having mixed some of each color of sand into what he termed Rainbow Sand, tried hawking it at 10 dollars a bowl, but eventually the price was lowered to half a dollar and then just given away, as he discovered the nature of supply and demand. A true New York experience! 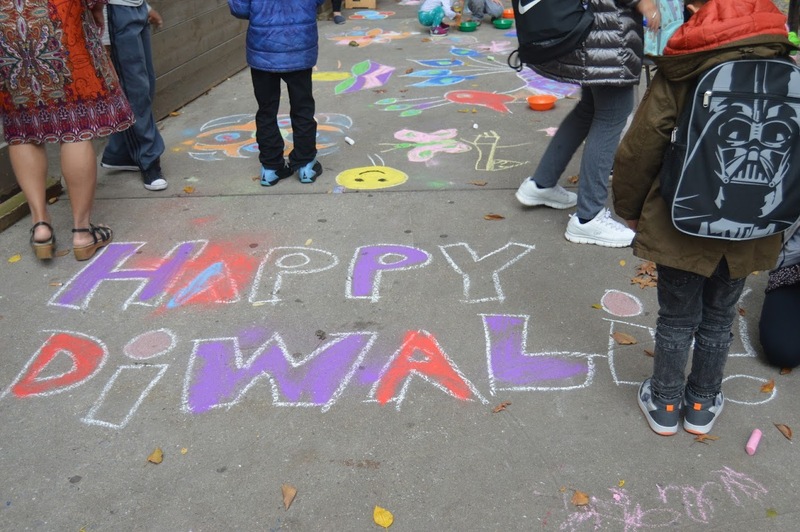 While the kids learned just a bit about the nature of Diwali and what the Rangoli signified, and were given sample pictures of Rangoli to look at for inspiration, this was more of a process-oriented creative program rather than an end-goal oriented one. And this showed in how and what the kids made: these were modern interpretations of the ancient art of Rangoli, besides the more traditional designs of peacocks, geometric flowers and lamps, kids created a pokeball, a dinosaur, a kid playing baseball, a rainbow and some freeform abstract art. I hardly needed inspiration from the title. This book was one that I could not Stop carrying on reading, till I breathlessly reached the end, and looked up, blurry and bemused, wondering what all might have transpired around me for the 3 days it had me in its magical thrall. 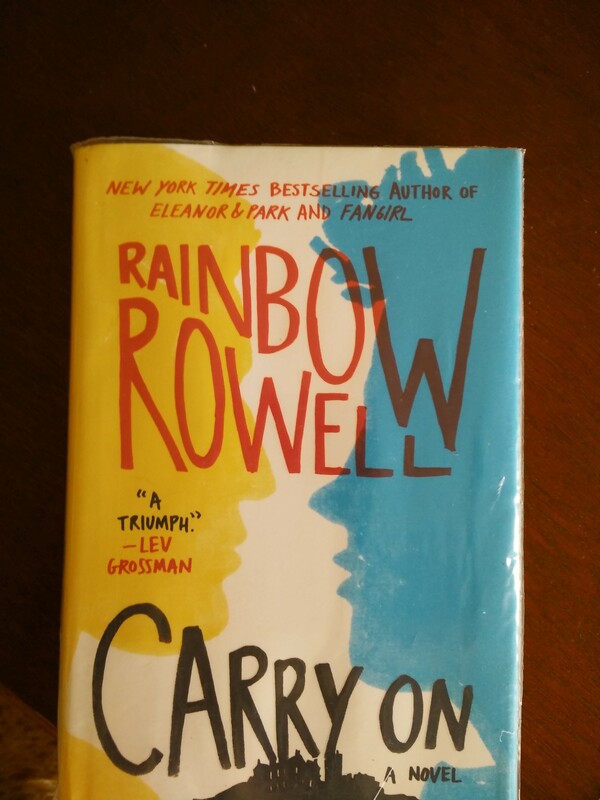 Did Rainbow Rowell cast a spell on me via the written word, as Baz or Penny might have through speech? Lest I get too cloying with my enthusiasm, let me proceed in a different vein. This book, to me, was everything I wanted the later Harry Potter books (and Lev Grossman’s The Magician) to be but weren’t– a YA book that allowed the reader to fall into a magical yet real world with real complexities and problems, with shades of grey that were real but neither debilitatingly nihilistic (Lev Grossman) nor facilely annoying with its “chosen one” ideology (JK Rowling’s later Harry Potters). I am talking in generalities here because I don’t wish to write down spoilers, although this is a book wherein, if you have already read Fangirl by Rowell, there are inherent spoilers that are already in the back of your head. Don’t get me wrong; there are plenty of faults with this book too — the main one being the overly hit-you-on-your-head descriptive romantic and physical tension between the main characters. Another one being, why oh why does it seem to be fashionable for well-known white authors to write in an Indian (east) character into their book and call it a day in terms of diversity? Are we the flavor of the year? Did Aziz and Mindy make us cool and likeable? Does inserting Indians (who I would argue have much more inherent privilege than many other ethnic groups) satisfy that itch for color? I would really like to sit down with Rainbow Rowell, Rebecca Stead, and E. Lockhart, all authors whose books I love, and yet make me want to tear out hairs from my head in frustration at times, to figure this out, and to give them some guidance: If they insist on writing Indian characters, please Do. The. Research. Like for example, Rebecca, don’t give an Indian family the uber-Gujarati (એકદમ સખડ Gujarati?) last name Patel, and then insist on having the parents follow the custom of Karva Chauth, which is Not a Gujarati Custom. And also, if you are going to gratuitously give a Hindu-observant family’s children French names, PLEASE explain why so your Gujarati Hindu readers don’t drive themselves cross-eyed wondering what was going through your mind. But I digress. And anyway, Rainbow was too smart for me, heading off my would-be criticism, by having Penelope (the Indian-British character in Carry on) herself dare Simon to challenge her on why she shouldn’t have an Indian name. BUT. I digress! Regardless of my rant above, all in all, this is one book that I simply could not, for the life of me, put down. And lately, that’s saying a lot, as even with my favorite books, I seem to (of late) belie my own self-given nickname by being reluctant to pick them up and only too ready to lay them down for any and every distraction. All this blustering is to say, I think many people will enjoy this book. Who, you ask? Who exactly do I think will enjoy it? Well, I will lay it out for you in the next section of this post which is not so much a review as it is a stream of thoughts about this book, in (perhaps) an effort to exorcise its effects from my clouded brain, so that I can get on with my day and with my week. Here goes. Mostly, it is funny and insightful in a way that adults will enjoy, but it is definitely a YA book, with teen characters whom (I believe) teens will be able to identify with, and through whom teens will be able to enjoy vicarious magic and love. 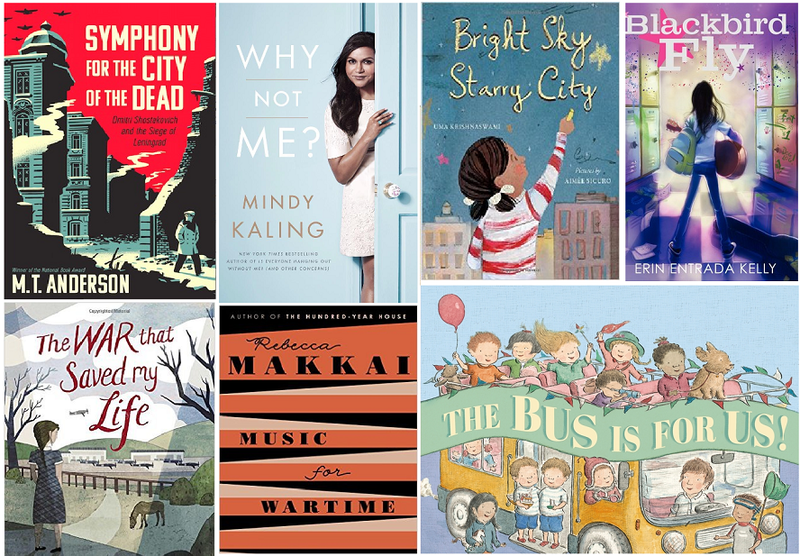 Recently at work, our BookMatch committee was asked, “What was your favorite book of 2015?” I loved being asked this question in a work setting, as it motivated me to actually decide on some favorites (I quickly decided there had to be more than one!) Below you will find my list of faves, out of books that were published in 2015. What are yours? Click here to post it to a google form. which I will then report out in a blog post later this week! My only request is that they be books that were published in 2015. Bookish has been a librarian for 8 years. She has previously worked in college admissions and as a middle school teacher. @bookish & her blog. On what’s changed since the WNDB campaign became “mainstream”: When I first got into librarianship, if I brought up the need for diversity in YA or kidlit, I’d get uncomfortable silences on listservs and in conversations. Only a few brave souls would answer. There was a deafening silence from the rest. Now that the WNDB campaign is more “mainstream,” many more people are willing to at least listen to the need for diversity. (Diverse) books and authors you’ve been recommending: Grace Lin, Zetta Elliott, Jacqueline Woodson, Neesha Meminger, Yuyi Morales, Uma Krishnaswami, Mitali Perkins, Janine Macbeth, Misako Rocks, books published by Lee & Low press, Corduroy, the list goes on and on and on! Patrons and their quest for change: Young parents of color…are keenly aware that they didn’t get to see themselves accurately and genuinely reflected in books as they were growing up, but that they want their kids to have this important connection to literature, in a visceral way. This generation of parents of color are already clamoring for books that represent their lives, their realities, so that they can share these with their children. On what needs to happen next: …this push for diversity is mistaken as needing to be fulfilled by getting already well-known mainstream white writers to write diverse characters into their books. Don’t get me wrong; this trend is definitely a step in the right direction, for the most part. But what would be WAY more heartening is to see publishers taking chances on a LARGE number of first-time writers of color, to allow the diverse stories to be told through diverse authorial voices. This evening, a father came by the children’s desk, just to reminisce and to thank the library. He indicated a group of children and said, “It makes me so happy to see children at the library, using the library.” Needless to say, this made me happy. And so it goes.